With a loan modification, the lender or bank modifies the terms of a promissory note; often by reducing the interest rate and increasing the term of the loan. A loan modification may also include an increase or decrease in the principal balance. For a struggling homeowner who wants to keep their property, a loan modification is frequently the only way to do so. Seek competent advice. As a former mortgage banker turned lawyer, Ben Hillard Esquire may be the best-positioned lawyer in the state of Florida to render advice in this area. Every situation is different; there are a number of situations where a loan modification is simply not very likely to occur. You will want realistic expectations. Also, if you are self-employed, competent advice is exponentially more critical. We recommend you consult with multiple attorneys before ultimately deciding which attorney will be best able to help you achieve your litigation goals. Set or Maintain Realistic Loan Modification Expectations. Because loan modification could be a long, frustrating process with no guarantee of success, and involves your home, likely your largest asset, setting or maintaining realistic expectations will keep you marginally sane during the process. Realistic expectations will also guide you towards sound financial decision-making. For example, if you are $200,000 upside-down in a $400,000 home loan and you are not going to stay in the home forever and the lender will not agree to reduce the principal balance, most people are financially better off to shift into an avoid deficiency strategy. if you have received formal, permanent, written loan modification contract from the lender/bank, don’t sign until you have gone over it with a lawyer. However, if a foreclosure lawsuit has not yet been filed and you’re not in possession of a permanent loan modification contract and you have met with a lawyer to help you develop strategy and a back-up plan, I would suggest that hiring a lawyer or a so-called loan modification expert to deal with the bank is likely a waste of money. Prior to the filing a foreclosure lawsuit, the lender is going to modify your loan, or refrain from modifying your loan based on the lender’s own internal criteria and how frequently you follow up on your loan modification application – not who hands the lender your loan modification application. Additionally, if you have significant cash assets, you should speak to a lawyer prior to making the financial disclosures the lender will require in the loan modification application. The lender may see significant cash assets and decide that it wants your upside-down house and the money instead modifying your loan. You also may want to have an experienced lawyer look at the loan modification application. While an attorney may be able to develop a great deal of legal leverage by defending a foreclosure suit, if no foreclosure suit exists, an attorney pushing a loan mod application typically does not give a borrower any meaningful advantage. In fact, I would go far as to suggest that a motivated borrower will follow up with the lender more effectively than almost any representative, lawyer or otherwise. That being said, after a lawsuit is filed and you have “lawyered-up” to defend the foreclosure lawsuit, the lender now has an additional incentive to go forward with a loan modification. In the event you receive a formal permanent written loan modification contract, before signing it, go over it with a lawyer. A few of the loan modification contracts we have reviewed contain provisions that could be misinterpreted. Therefore, seek advice. Apply for a loan modification. To apply for a loan modification, ask for or download the lender’s loan modification application and fill it out and gather the necessary copies of your financial information. If you are self-employed, seek advice from an experienced attorney. The goal is to get a loan modification that benefits you – not the lender. Additionally, a loan mod application is not a substitute for responding to a foreclosure complaint. Follow up on the loan modification application. You should follow up at least weekly or even daily on a loan modification application. Ride the lender like a rented mule. Develop a relationship with the lender’s representative that is assigned to your loan. Was your Loan Modification Application Denied? If you loan modification application was denied, re-apply. Yes, I know it’s a pain, but if you want a loan modification, re-apply. Because lenders only modify so many loans per accounting period, maybe the lender already modified as many loans as it is going to modify for the period. If the lender says, “We lost your loan modification application”, or gives some other excuse, re-apply. Be the squeaky wheel. As stated previously, if you are in a foreclosure suit, aggressively defending a foreclosure lawsuit gives you leverage and time with which to give you the best opportunity to get a loan modification. Has the Lender Backed Out after Agreeing to Modify your Loan? If the lender has given you or promised you a loan modification but then back out, seek the advice of a lawyer. Depending on the situation, an agreement to modify your loan may be enforceable. 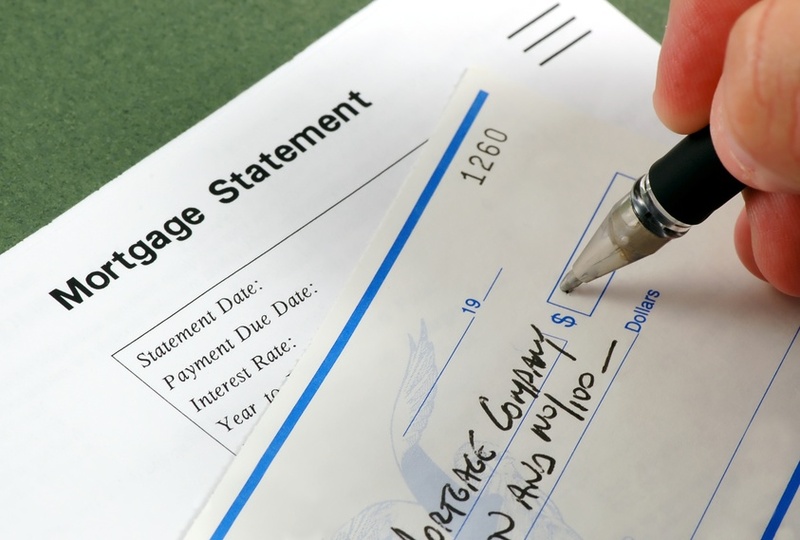 Received a Permanent Written Loan Modification Application? If you have received a permanent written loan modification, congratulations!BUT go over it with a good lawyer before signing it. Here are some general considerations concerning attempting to get a loan modification. Loan modification is at the Lender’s discretion. Even if you perfectly “qualify” the lender does not have to modify your particular loan. Lenders cannot modify everyone’s loan; it’s simply not economically feasible. For example, a lender may set a goal of modifying no more than 1,000 loans per quarter, or per accounting period. It is my belief that many lenders then subdivide this number into say 500 of the 1,000 loan modifications should go towards modifying loans where the borrower has an attorney who is causing the lender a great deal of heartburn in defending a foreclosure lawsuit. If the lender has filed a foreclosure suit, lawyer up and defend the lawsuit. This should give you legal leverage with which to “encourage” the lender to modify your loan as opposed to someone else’s loan. A side effect of leverage is time. Sometimes it may take two years and six loan mod attempts to get a loan modification. Hiring a lawyer to defend a foreclosure suit is typically far less expensive in the long-run than making high mortgage payments. There are many situations where a loan modification is simply not likely. One such scenario is where the property has equity. Where the property has equity, the lender would typically prefer to simply get its money back and make a loan to someone else. Unlikely does not mean impossible, just statistically less frequent. Additionally, it may be difficult to get a loan modification if you make more money today than when you received the loan in the first place. The opposite is also true, if you are presently unemployed, a loan modification is unlikely. Seek the advice of knowledgeable lawyer. While many times a loan modification offer is a take it or leave it scenario, sometimes there is flexibility. Such flexibility may depend upon the amount of legal leverage. Legal leverage is gained over time, it does not happen simply because you hire a lawyer. All loan modifications are not created equal. All lawyers are not created equal. Most loan modifications are based on the borrower’s income. For self employed persons, seek advice. You want the best loan modification the lender will swallow. Loan modification criteria changes frequently. Lenders develop and implement different loan modification programs and criteria frequently. If you are denied, re-apply. If you are denied again, re-apply again, and again. Loan modification does not necessarily mean a principal balance reduction. Instead, a loan modification will often increase the principal balance because the lender will roll in the delinquent interest and costs to the principal balance. In such cases, the lender typically reduces the interest rate and increases the term of the loan, bringing down the amount of the monthly payments. This often leaves the borrower even further upside-down – for years to come. About half of our clients who received and accepted a permanent loan modification in 2012 received a principal balance reduction as part of the loan modification. As a former mortgage banker and principal of Castle Law Group, Ben advises clients on their chances of receiving a loan modification and helps establish expectations regarding the likely terms of a loan modification agreement. Ben also advises clients concerning possible options for getting out from under their upside-down mortgage entirely and helps clients develop and implement strategy concerning the same. Many borrowers who are seeking a loan modification do not presently qualify for loan modification – either due to unemployment or conversely, because their income is significantly greater today than when they received the loan in the first place. Again, legal leverage may be helpful here. Borrowers who contest a foreclosure suit have a much higher likelihood of securing a loan modification than those who ignore the lawsuit. Ignoring the lawsuit could be a decision with lasting negative repercussions. Loan modification is not the only option. Ben educates clients on other options for getting out from under an upside-down mortgage and avoiding deficiency judgment. Because Loan Modification, Deed-in-Lieu, Short Sale, and Foreclosure through Strategic Default are not mutually exclusive strategies, it is often beneficial to have a multi-faceted strategic approach. In general, Ben lends his insider’s perspective on the loan modification process to help homeowners make good decisions. What is a loan modification or loan mod? A loan modification is a formal written agreement to modify the terms of a loan. A loan modification will often include a reduction in the interest rate, an increasing the term or length of the loan. A loan modification may also include a principal balance reduction. Do I need to be delinquent for the lender to work with me? The short answer is yes. However, some lenders do work with borrowers who are not delinquent. Additionally, some government-sponsored programs require borrowers to be current on their payments. It is also important to understand the implications of failing to make payments under a promissory note. Failure to make payments is breach of contract and will likely have significant negative consequences to a borrower’s credit rating. Speak with a lawyer who can walk you through the risks of becoming delinquent. Loan modification can be a long process, taking anywhere from two to eight months or possibly several years if you are denied and re-apply repeatedly. HAMP®, or the Home Affordable Modification Program is designed for those who are employed but still struggling to make their monthly mortgage payments. It may lower your monthly mortgage payments. Many large lenders “participate” in HAMP, however, many large lenders also have their own loan modification programs.